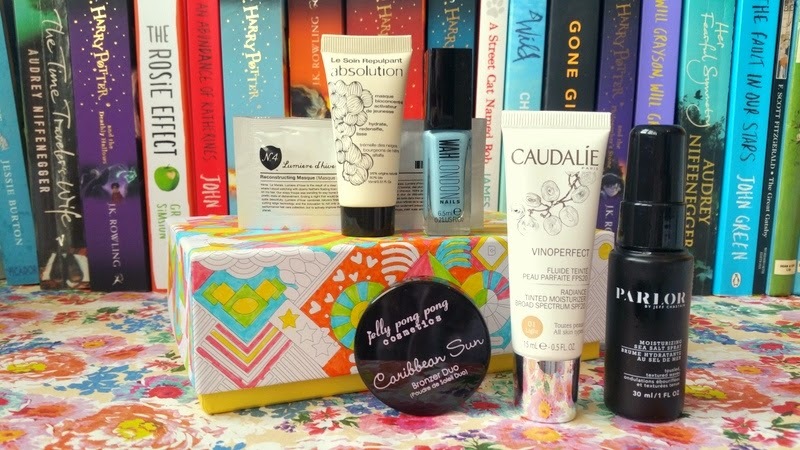 Last month’s Royally Good box (click here to read the full review) featured samples from Laura Mercier, Liz Earle and Percy & Reed and was beautifully packaged and full of high quality goodies, I was really impressed with it! I’m happy to announce this month’s Free Your Mind box is just as good! First of all, let’s discuss May’s theme and box. If you follow me on Instagram you’ll already know I’ve been lusting over Waterstone’s amazing collection of ‘adult’ colouring-in and doodle books for some time now. 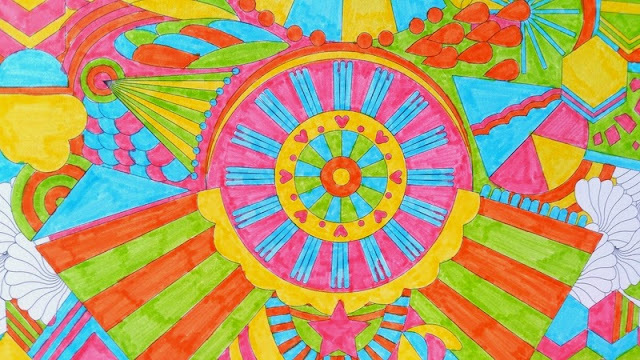 Colouring-in has be re-branded over the years as a therapeutic tool for adults, as a way to relax, alleviate stress and clear the mind. A box of miniature pencils were included but I broke out my trusty Sharpies and got to straight to work, it’s safe to say I could colour-in for hours. 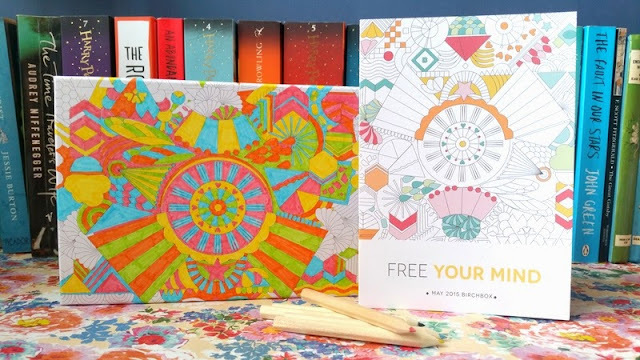 I loved the idea behind this month’s packaging and although I don’t really think the products inside connected with the whole ‘Free Your Mind’ theme and creativity aspect, I was delighted with my May samples…. 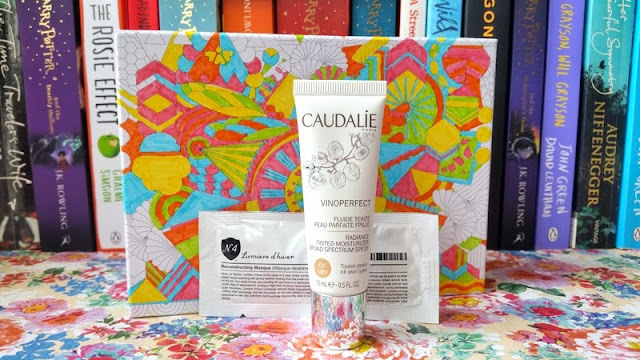 My box included; the Caudalie Vinoperfect Radiance Tinted Moisturiser in Light (yay, a shade I can actually use! 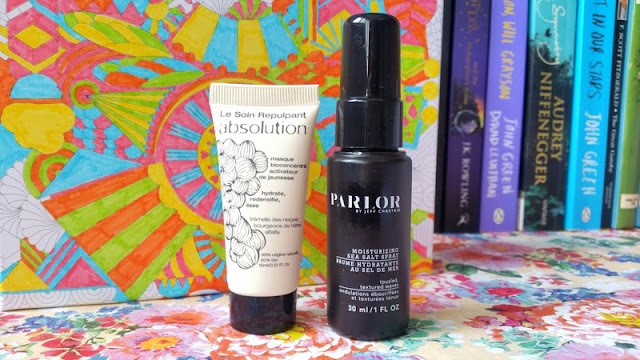 ), a full size bottle of WAH London nail polish in Private Plane, Parlor by Jeff Chastain Sea Salt Spray, Jelly Pong Pong Caribbean Sun Bronzer Duo in Martinique, Absolution Youth Activator Mask and Number 4 Lumiere d’Hiver Reconstructing Masque. Birchboxers (yes, that’s what I’m calling you from now on) were lucky enough to receive 6 samples this month and pick their own WAH London sample from either a full sized nail art pen, nail polish or set of press on nails. All packaged in the usual Birchbox signature drawstring bag, the in-box literature has been given a makeover so your trusty sample postcard and in-box editorial can now all be found in one handy booklet. I was excited to try the Absolution Youth Activator Mask, not because I knew the brand but because I’m a complete face mask addict these days! This mask replenishes skin’s water levels and restores its natural barrier against the elements. I found this intensive moisturising treatment to be very similar to my Nuxe Creme Fraiche 24hr Soothing & Hydrating Fresh Mask. A nice treat but at £29 I think I might stick to my trusty Nuxe mask. Parlor by Jeff Chastain Moisturising Sea Salt Spray adds volume and helps to achieve a ‘tousled texture’ to hair with just a couple of sprays. I used this on damp hair and styled with my fingers as it dried naturally. I expected a sea salt spray to dry my hair out but the sweet almond extract and vitamin-rich algae extract helps to nourish and protect the scalp whilst infusing strands with softness and fullness. My hair is naturally quite wavy and thick, this product helped to define my curls and tame my frizz however it also added a lot of volume which didn’t particularly work with my hair type as I have pretty big hair to begin with! It would be perfect for those with straight, fine hair looking to shake things up a bit. Parlor by Jeff Chastain Moisturising Sea Salt Spray retails for £17. I’m not normally one for tinted moisturisers as I tend to like a bit more coverage but I am a fan of Caudalie (although I can’t actually afford their full sized products) so I thought I’d give it ago. First of all, I’m so happy to receive a shade that’s light enough for me to use! This NEVER happens with the samples in my beauty boxes! The moisturiser is very hydrating and lightweight, it doesn’t feel like i’m wearing anything which is a nice change. It’s mineral pigments blend with the skin to cover imperfections, dark spots, redness and blemishes. It added a glow to my complexion, giving me a more youthful brightness to my skin. I did reach for my concealer to target certain areas but on the whole I’m very impressed and if I ever have the confidence to swap to a tinted moisturiser I would definitely chose this one. The price tag is a little hefty however as a 40ml bottle costs £27. I could see this being my next purchase with my Birchbox points. The Number 4 Lumiere d’Hiver Reconstructing Hair Masque is packed with soy protein, shea butter, jojoba seed oil and sunflower seed oil to nourish, condition and moisturise hair. This masque instantly made my hair feel softer and smell heavenly from the second I washed it out. This 5 minute mask is a quick and effective way to give thirsty hair a boost of moisture, however as amazing as it is, it too comes with a pretty hefty price tag (as do a lot of this months samples if you’ve not already noticed) of £36 which I think is a little obscene for a hair product! This tiny bronzer duo consists of two shades that compliment each other perfectly; a peach/rosy shimmer for the apples of the cheeks and a bronzer to contour the hollows. 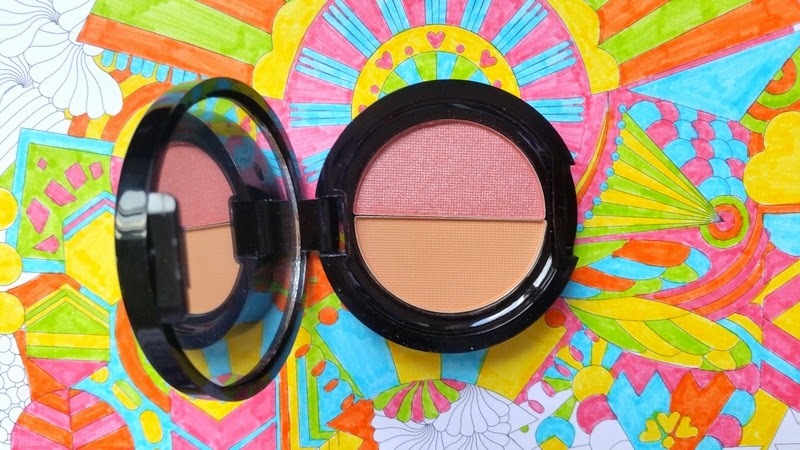 As well as being ridiculously pretty this little compact adds a beautiful holiday glow to the skin. The lightweight formula is infused with argan and mango butter to naturally moisturise the skin and is also fragrance-free and cruelty-free. As much as I love both shades the sample size is very inconvenient to use. Trying to separate the shades on your brush is a skill in itself. I would love to try the full sized version as I think this would be perfect for creating a sun-kissed beach look on my honeymoon. 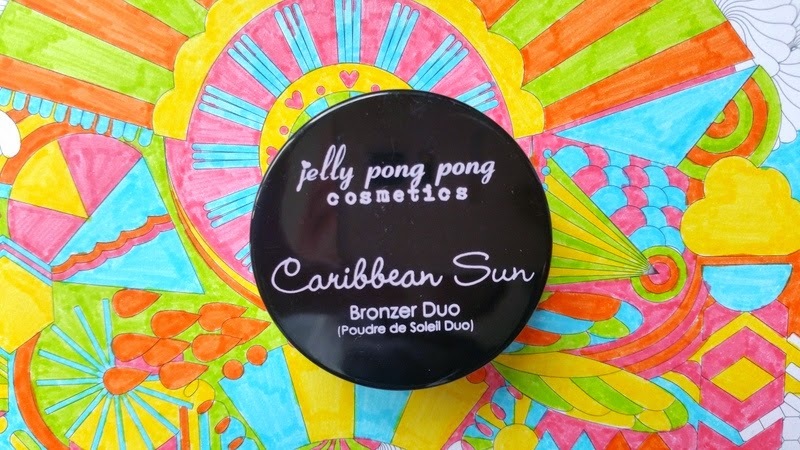 The Jelly Pong Pong Caribbean Sun Bronzer Duo in Martinique is available for £15.95. And finally the WAH London nail polish in Private Plane. This ultra-glossy nail colour gives an electric pop of colour even on the dullest of days. The formula is long-lasting and glides on smoothly. The shade is very similar to Ciate London’s Ferris Wheel but more richly pigmented. As well as polishes WAH London specialises in art pens, tools and press on nails to let your creativity run wild. 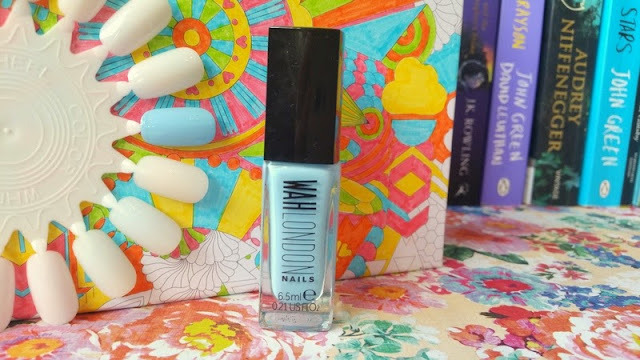 The WAH nail polish is available in a selection of colours and retails for £9/6.5ml. Did you like April’s theme? What was your favourite sample? Please leave a comment below and don’t forget to follow me on bloglovin! "Music | May’s Spotify Playlist"